With three-dimensional audio flowing all around, Dolby Atmos® can transport movie viewing into a realism never before experienced in a home. 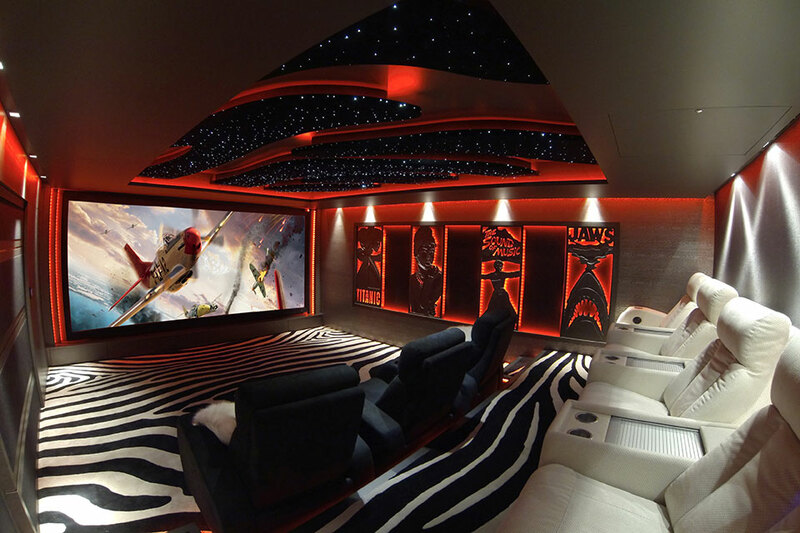 It is a giant step forward in the home theater experience. And what is the experience of a Dolby Atmos speaker system? Steve Colburn of Triad Speakers based in Portland, Oregon, tries to explain. There you are, cozying up to watch a World War II bombing mission on a Pacific run, and you hear the creaks and groans of the airborne tin can with its engines droning in chorus with the others in formation around you and the crew chattering, and you are there. You are in that plane and part of the crew. Eyehear’s ability to master complexities and its willingness to simply and directly explain technology makes people comfortable with electronic systems of all types, and it has earned the firm many friends and loyal clients over its 15 years of business. Eyehear also provides the opportunity to experience equipment first-hand in its showroom. “People can come in and listen to this amazing sound experience. Sound can’t be easily explained; it has to be experienced,” says Russ Vukonich. Each of Triad’s speakers is built to order, allowing for ultimate customization. With almost 400 Dolby Atmos home system designs installed, Triad’s considerable experience working with homeowners directly benefits the projects that Eyehear designs. 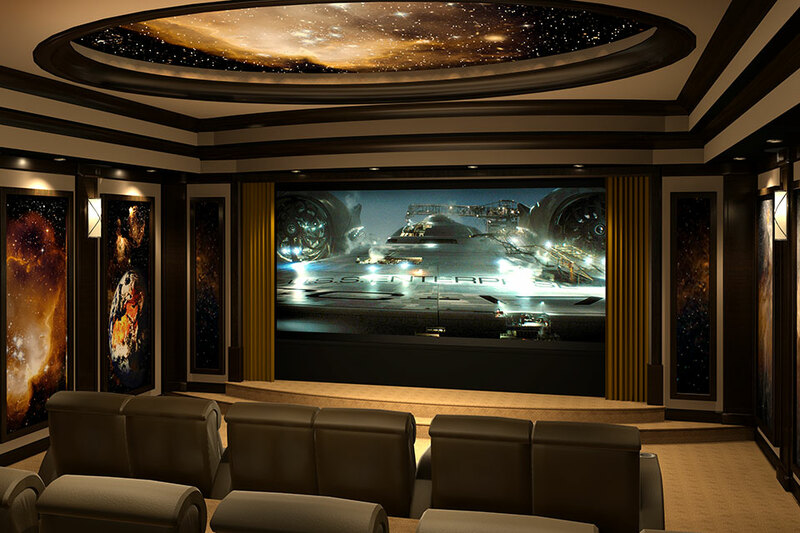 “We have learned how Atmos can accommodate virtually any decor and rooms varying from big to small, and that includes dedicated home theaters and multi-purpose family rooms,” Russ Vukonich comments. He makes the point that Eyehear tackles projects in a range of budgets, and they frequently work with interior designers and the building trades in addition to working directly with homeowners. 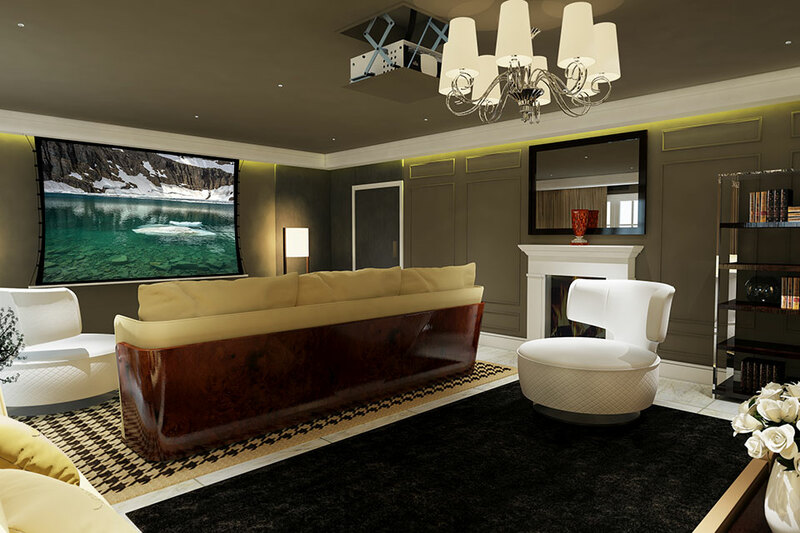 With subtle installation of custom components, an elegant family room can be temporarily trans-formed into a theater. It’s exciting new technology that brings sound to home entertainment as it never has been experienced before. Eyehear has it in the showroom ready for demonstration, and through the dynamic partnership between Eyehear and Triad, it’s simple to bring it home.